About a month ago I began a conversation with an open mind and heart. Not knowing where it would lead nor having any expectations, I told my story. Though it has changed and evolved over time, my story is beautifully me; it is who I am at my core, who I have been, and who I am becoming – all wrapped up in words, lessons, and experiences that are continuously being written, learned, had and expanded upon – and in turn, HEALED. The more we live, it seems, the more we are able to reflect and see more clearly who we are in the mirror. And that’s where it really begins – within. This initial conversation has led to many more, and in turn has sparked an inspiration so deep within me and ignited a purpose beyond all previous dreams, that I had to share with you all here. The name says it all, yet leaves so much mystery and magic to be explored. Healing Hotels Of The World is the first and only global brand of quality member hotels devoted to profound individual change through evidence-based modalities dedicated to healing. It is founded and carried forth by two beautiful Souls who together as an organization are essential founders of the ‘travel to heal’ movement – which myself as an individual, and as a fellow founder of a conscious-travel brand, fully stand behind and wear as my own message. Here at Soul Traveler, I couldn’t have dreamt up a more perfect connection. So, it was after (or honestly perhaps even amid) the initial conversations with the founders that I knew this was a divine alignment that could not be overlooked. Soon enough I will be sharing out-of-this-world healing experiences from around the globe with and for you all, but until then – I’d like to say that even prior to meeting them in person, there is this clear knowing that Anne Biging and Dr. Elisabeth Ixmeier, of Healing Hotels Of The World, are my Soul family. Though genuine human connections are more common now than ever before, I still find Soul connections such as these to be rare, powerful, and sacred. For that very reason, I wanted to be sure I introduced you to the healing magic of these two and what they are creating for the world. Do you believe that humanity can take a Quantum Leap and create a new reality, which brings positive change for all of us? And that is the million dollar question. Do YOU believe – and if so, what are you doing to achieve this within yourself? The question above is the foundation of this year’s summit, and it resonates with me deeply as I DO BELIEVE that we, as a collective, can and are taking a quantum leap to create a new reality – that of peace, prosperity, and divine purpose – and I am here as a vessel to cater to and guide that very mission. Again, travel to heal. It is a wondrous way to say simply, that in order to find, you must seek. And in this day and age, we are becoming more inclined to search within ourselves for answers and solutions – both for ourselves and our planet. There are more and more courses, podcasts, and in-person events that are manifesting to cater to our needs and desire to change the world, and as we begin to see the saturation of such, it is left to our intuition to really decide which show authenticity and value. Our healing journey is that of introspection, inner work, and investment – that of time, energy, and love of all forms, in all ways & always. With that said, I listened and acted fully heart-based on my intuition and am honored to say that I have been asked to speak at their upcoming event. 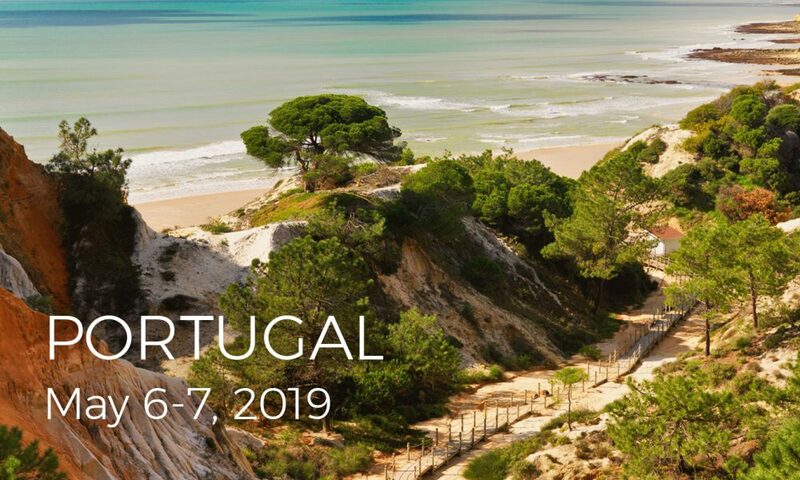 Pine Cliffs Resort off the beautiful Algarve Coast of Portugal (amongst equally beautiful Souls) – This is where I (and hopefully, YOU) will be, come May 2019. So what is ‘The Healing Summit,’ you ask? It’s an event for people just like you and me who are on a mission to connect with, learn from and teach others like ourselves who simply wish to heal themselves & the world. Whether you are years into your business, or in the beginning stages of inspiration and are looking for like-minded AND like frequencies to align & share this journey with, I would love to see you there. It is through events just like this that beautiful relationships and partnerships are founded. You must solely be brave enough to be open to the freedom of writing your story… and take a quantum leap! Remember, sometimes the most beautiful connections, alignments, and opportunities come from simply being open to them. What kind of relationships would you like to be building & experiencing, what life do you wish to be living, what world do you wish to see manifest? Taking a quantum leap means releasing all of our fears and self-limitations, and being brave enough to write your story. After all, everything starts with a story. If you are a professional who has a genuine interest in healing, in whatever aspect, the HEALING SUMMIT is the event for you! If this sounds like the sign you’d been looking for and you’re interested in attending, click here! Hope to see you there, and until then – enjoy the journey..
What a wonderful opportunity! Hope I can join you in May. That sounds amazing!! I’d love to attend this or one of your future manifestations.